Yaz Purnell started her blog to share her path to a digital nomad lifestyle. Knowing that there were many people out there who wanted to break free from their unsatisfying work routines but didn’t have the information they needed to make the leap, she started her site to share the things she’d learned. 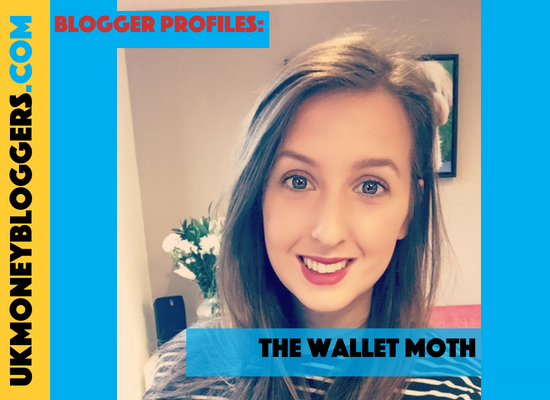 The Wallet Moth is a money and lifestyle blog focused on providing people with the tools they need to create the lifestyle they really want. Main topics include saving money tips, minimalism, and strategies to work remotely. Learning how to manage my money properly is one of the biggest reasons I was able to make some drastic changes in my own life, and I want to give other people the tools they need to do the same. I started blogging in early 2017, around the same time I had just quit my 9 – 5, started my own freelance business, and was about to fly to Thailand for a year-long travel adventure. It seemed like a good time to add one more thing to my plate! My most popular post is 20 frugal living tips to try this year. I think people really resonate with the small, easy changes you can make to your daily routine that can have a huge impact on your spending. One of my favourite posts is where I explain exactly I am able to make money while I’m traveling by the world. It makes me pretty proud of how far I’ve come in just a year. To make habits! Habits are the only thing that are going to make a long-term difference on your saving, spending, and happiness in life. To be consistent, and to keep going. I definitely have the odd wobble that I’m not good enough and that my blog is a waste of time – but those are quickly replaced when I receive a message from a reader telling me how much I’ve helped them. It’s fantastic to have a community of like-minded bloggers. I find it so helpful to get ideas and advice from others who have been doing this far longer than I.
Emmadrew.info, Katy Kicker, and From Pennies to Pounds.